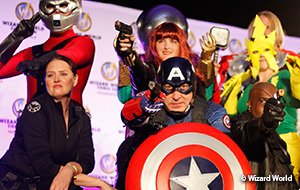 Grab your costumes and pop culture knowledge for the return of Wizard World Comic Con Madison April 8-10 at the Alliant Energy Center. Meet and greet movie, television and comic book icons. Actors from Doctor Who, Marvel’s Agents of S.H.I.E.L.D. and Lord of the Rings are already on the growing list of attendees. Also appearing is Baseball Hall of Famer, two-time MVP and Milwaukee Brewer great Robin Yount. Tickets are on sale now. Bring the kids! Every paid adult can bring along two children 10 and under for free. 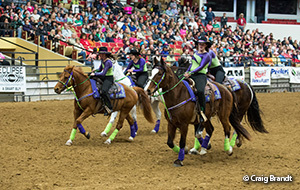 The 37th annual Midwest Horse Fair returns to the Alliant Energy Center April 15-17 with events, vendors and horses of course! Head over to Stallion Avenue and get an up-close look at more than 40 breeds from all across the country. Check out the Professional Rodeo Cowboys Association (PRCA) Rodeo with performances on both Friday and Saturday evening. This year’s “Sky’s the Limit” theme promises to astound you with more than 500 vendors, a full roster of educational events, a professional blacksmith competition and so much more. Tickets are on sale now.